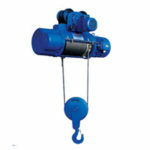 Electric machine hoist belongs to hoisting equipment to meet the need of modernization. The kind of hoist machine is widely used in many construction site for its compact structure and strong universality. 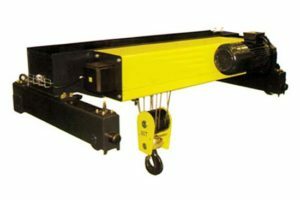 Machine hoists can use alone to be fixed in a pillar, or go with large crane as trolley to transport heavy loads along the track of cranes. 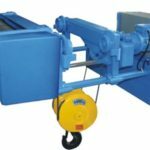 Ellsen machine electric hoist is one of the famous lifting machinery in China, it has good reputation among hoisting device market, since you can get both high quality and cheap price in Ellsen manufacturer. High quality. 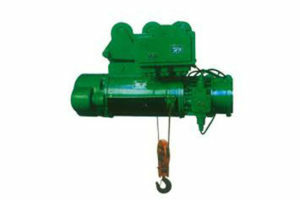 All types of Ellsen machine hoists adopts high strength steel. 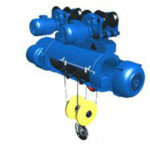 Hoist drum adopts forging technology, which make sure the high quality of your hoist. Ease to operate and maintain. 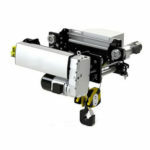 Ellsen machine hoists have compact structure and maintenance free design. You will not be bothered by time wasting maintenance work. Safe. All Ellsen machine hoists adopt high quality steel and they have been tested before deliver to your hand. 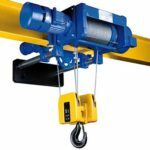 Ellsen ND type hoist adopts positioning system, like the black box of plane to monitor the working tracks of your hoist. Less noises. Because of the improvement of technology, Ellsen hoist machinery has less noise than other hoisting manufacturer. Economical. 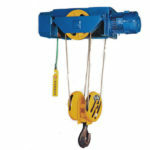 Ellsen machine hoist equipment is the cheapest hoisting device you can get in the market. This hoist must only be used by a competent person who understands these instructions. Keep children, animals and bystanders away from the work area. Do not use this hoist if you are ill, tired, or under the influence of alcohol or drugs. Before use, always examine the machine and its mountings to make sure that they are in good condition. If you find any damaged or broken parts, remove the hoist from service and renew or repair the part before further use. Before use, it is important to make sure that the steel cable is correctly wound around the drum. Wear protective clothing, gloves, footwear and hard hat. Do not wear loose clothing, jewellery and tie back long hair. Protect the machine from frost and high temperatures. If the capacity of the hoist is exceeded, the cutout will operate, Let the hoist cool down before using it again. Make sure that the load is balanced, stable and that personnel stay clear of the raised load. Speak to the Clarke service department for any spare parts relating to the hoist. Make sure that the switches are in good condition. Use this hoist for vertical lifts only. 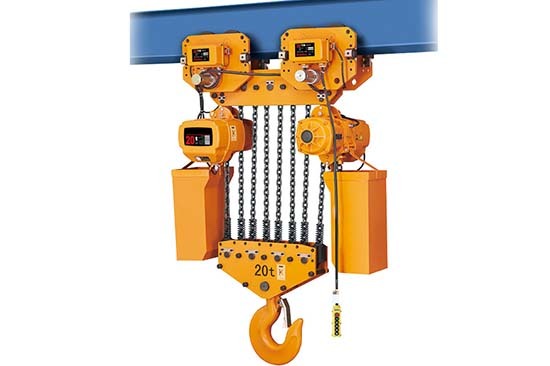 Attach the hoist to a horizontal beam/box section that can hold the weight of the load and the hoist. 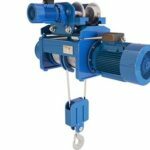 All Ellsen hoist equipment is designed by experts in hoisting area, we promise all your hoists buying from Ellsen have beat quality with good price. You can save less money and get better quality in Ellsen. Ellsen machine hoist can use alone or match with gantry crane, portable frame, overhead crane and jib crane as trolley to transport heavy loads along the girder or boom of all the crane. 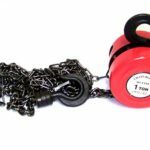 And you can get a customized hoist if you provide us the working condition, your daily transport capacity, and what you are going to do with your hoist. Why not to click the free inquiry to get yourself a high quality Ellsen machine hoist.